Mortgage rates are low right now but pinning them down this week could be a challenge. As Labor Day Weekend nears and Wall Streeters take their head-start on the holiday, trading volume will fall, which will cause mortgage rates in California to get jumpy. Mortgage markets improved last week despite a major mortgage bond sell-off Friday afternoon. Prior to the jump, conforming mortgage rates had cut new, all-time lows by Thursday, only to lose up to 0.250 percent on the last day of the week. The rankings for all 225 metro areas are viewable on the NAHB website but regardless of where you live, buying a home is as affordable as it’s ever been in history. Furthermore, because home values are in recovery and mortgage rates may rise, the market is ripe for home buyers in Orange County. NEW YORK (CNNMoney.com) — Fewer mortgage borrowers are delinquent on their loan payments, according to the latest data from the Mortgage Bankers Association. The government- and lender-led mortgage modifications “cured” some payment problems. Regardless, there’s two sides to the story. Although the New Home Sales data looks bad for builders, it can be terrific for you. 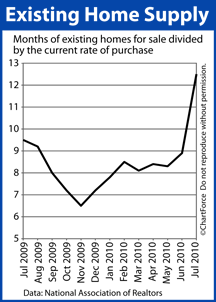 This is because new homes are more likely to be discounted when the sales cycle favors buyers. Coupled with ultra-low mortgage rates, the cost of buying a newly-built home in Coto de Caza may have just become cheaper. 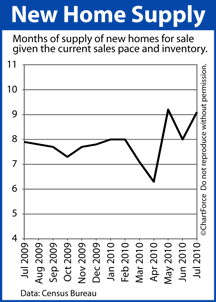 For home sellers in Trabuco Canyon , the Existing Home Sales report is a bit of bad news. Fewer sales and larger inventories put negotiation leverage in the hands of the buyers which, in turn, creates downward pressure on home prices. It may also increase time-on-market. The tightening in mortgage-lending policies that characterized the last 3 years appears to be slowing. 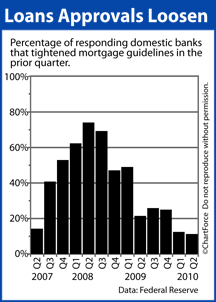 For mortgage applicants in Coto de Caza , this quarter’s Fed survey results signals that mortgage lending may have reached its limits of restriction. So, if you’re among the many wondering if now is the right time to buy a home — or refinance one — remember that, although mortgage guidelines likely won’t get worse, mortgage rates probably will. Mortgage markets stalled last week in back-and-forth trading as Wall Street grappled with weak housing data, falling builder confidence, and worsening jobs numbers nationwide. Because markets were volatile, rate shopping was challenging. Conforming mortgage rates did managed to make a new all-time low last Thursday but quickly gave up those gains. Most of Friday afternoon was spent in the red and, as a result, for the second straight week, mortgage rates failed to fall overall. But, although last week’s action puts a damper on this summer’s mortgage rate rally, the Refi Boom is still going strong. According to Freddie Mac, as compared to April 8 when mortgage rates touched their recent high-point, pricing is hugely improved across 3 popular loan products. As an example of potential savings, a homeowner in California with a $250,000 30-year fixed rate mortgage would save $96 per month at today’s rates as compared to April’s. Over the life of a loan, that’s a savings of $34,560. This week, it’s unlikely that the Refi Boom will meet its end, but that doesn’t mean you should wait for rates to fall further. Mortgage rates tend to change quickly and without notice, and should rates rise, you may find that you’ve missed the market bottom. If today’s rates appeal to your finances and budget, consider locking something in and moving forward. 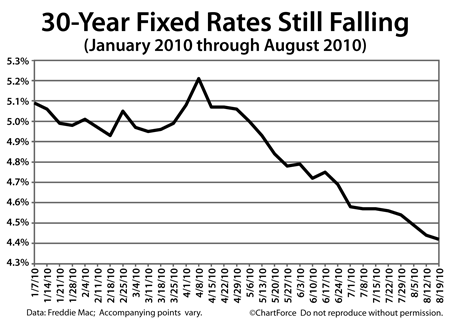 Another week, another new low for conforming mortgage rates. In fact, this week marks the 9th time in a row it’s happened. But this isn’t to say that mortgage pricing is better in, say, California as compared to Florida. 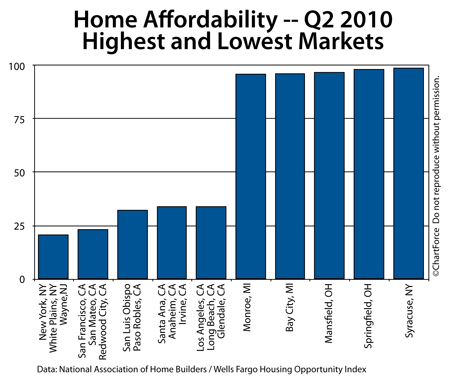 Note that the West Region — with the lowest average rate — has the highest required points. This is because mortgage rates and mortgage fees move in opposite directions. The type of low-rate/high fee structure common in the West may be right for some home buyers and would-be refinancers, but may not be right for others. What’s important to remember is that, as a rate-shopper in California , it’s always your choice on how your loan is structured. Banks offer multiple set-ups — with or without points — to meet every applicant’s budget. As mortgage rates continue to slide and touch new lows, it’s an excellent opportunity to see what your lender can do for you. Low rates won’t last forever. According to Bankrate.com and its annual Closing Cost Survey, a typical $200,000, purchase mortgage now carries an average $3,741 in closing costs — up nearly 37 percent from last year. As defined by Bankrate.com, “closing costs” is defined as the sum of two numbers. The first group is labeled “origination charges”, a category that includes such items as underwriting fees, application fees and processing fees. 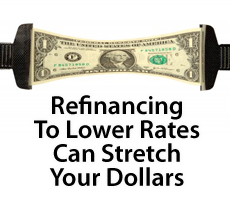 These fees are paid directly to the loan originator’s company at the time of closing. The second grouping of costs is labeled “third-party fees”. Third-party fees include appraisals, credit reports, settlement fees and title searches — items paid in connection with the loan, but not paid to the lending bank or broker. The new law requires loan officers to be accountable to a Good Faith Estimate’s accuracy. 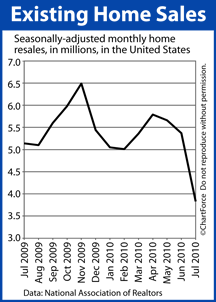 Bankrate.com’s prior-year surveys may have been “understated”, therefore, because of a lack of accountability. 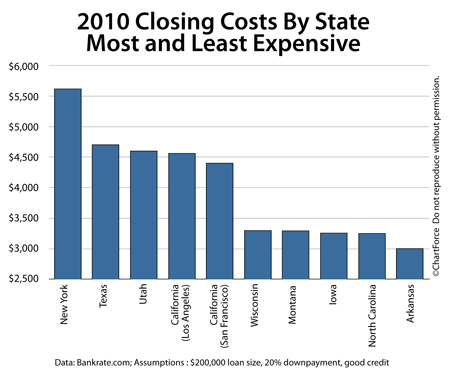 To see the complete list of closing costs by state, including where California ranks, visit the Bankrate.com website. Comments Off on How Much Should You Expect To Pay In Mortgage Closing Costs?